On October,2013, the customer from Iran connected with Leizhan engineer and stated that their paper mill would like to establish a tissue paper production line with capacity of 7 tons per day use only virgin pulp as raw material. Leizhan engineer provided a customized solution for the customer according to the demands. Later, the customer showed great interests and stated that he would like to visit Leizhan factory for further knowing. On February 26, 2014, the customer came to Leizhan factory and signed the contract with manager liu after several negotiations. On march, 2014, Leizhan supplied a complete tissue paper production project to the paper mill site in Iran featuring stock preparation system and paper manufacturing equipment to the customer. The scope of supply range from chain conveyor to reeling machine. 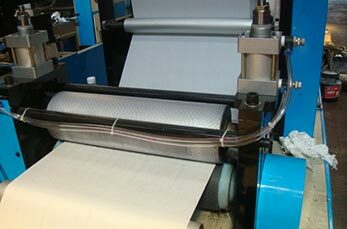 The paper processing machine Leizhan supplied has a design speed of 200m/min and a basis weight of 13-30g/m2. The project has a net width of 2400mm and can produce 7 tons of tissue paper by using virgin pulp as raw material.